Ulpia Traiana Sarmizegetusa (or Colonia Ulpia Traiana Augusta Dacica Sarmizegetusa) was the capital and the largest settlement in Roman-controlled Dacia (mainly corresponding to modern Romania and Moldova), with its name partially derived from Sarmizegetusa – the former religious and political center of Dacia. Founded during the reign of Trajan, possibly between 106-107 AD – when the Roman Empire stretched to its greatest extent, the fortified walls of Ulpia Traiana Sarmizegetusa encompassed an area of over 32 hectares. And since the city was governed under direct Roman rule because of its prestigious Ius Italicum status, the settlement was home to a profusion of Roman-architecture styled structures, including a forum, amphitheater, temples and even private houses. Unfortunately, the Roman-Dacian capital was destroyed by the invading Goths in 4th century. But now like a proverbial phoenix, Ulpia Traiana Sarmizegetusa is all set to ‘rise’ from its ruins – with a definitive plan to restore and preserve many significant sections of the ancient capital. Proposed reconstruction of the Amphitheater. We’ve decided to implement this project because we want to save the cultural heritage and to highlight it. It was a hard journey. We’ve engaged architects, archaeologists, professors – practically all those who have conducted systematic archaeological research at Ulpia Traiana Sarmizegetusa over the years. It took one year to get the approvals. 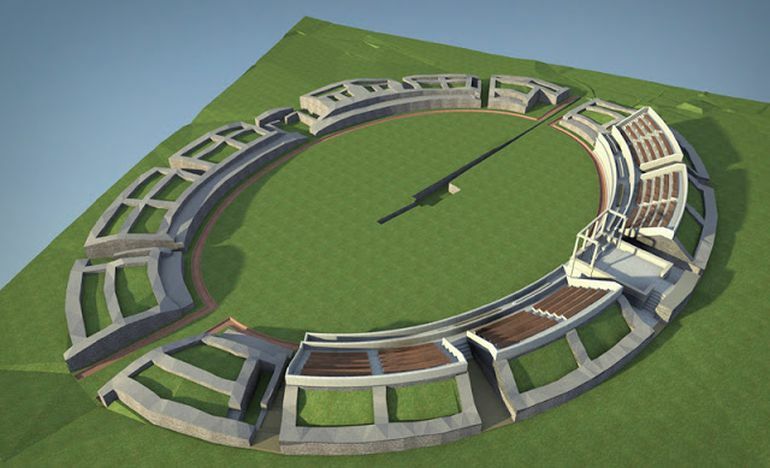 Now the good news for history aficionados is that is project will go beyond just preserving many of the ruins; the experts are also looking forth to fully reconstruct the Amphitheater and the Forum within the confines of Ulpia Traiana Sarmizegetusa. In fact, the first phase of the restoration will deal with the preservation and refurbishing of many of the individual Roman structures – over a period of two years. The subsequent second phase will then entail the physical rebuilding of the Amphitheater and the Forum. 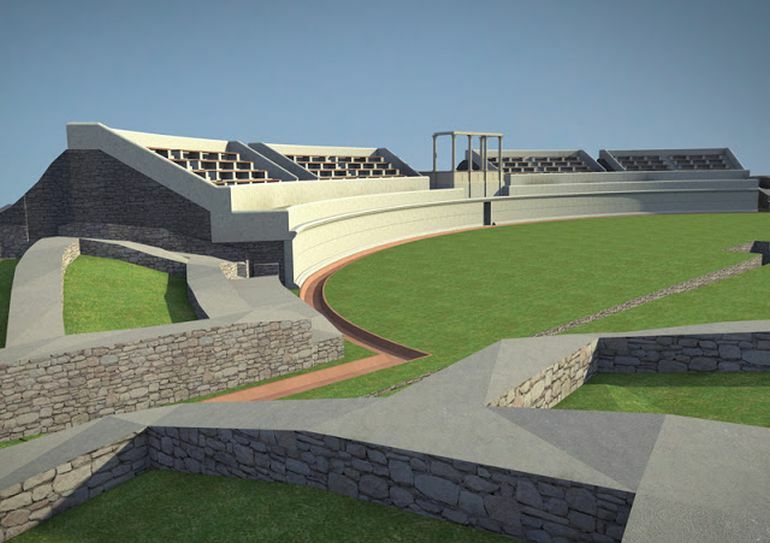 With these structural accomplishments, the Roman Amphitheater at Sarmizegetusa could actually cater to over 5,000 people for outdoor cultural events. 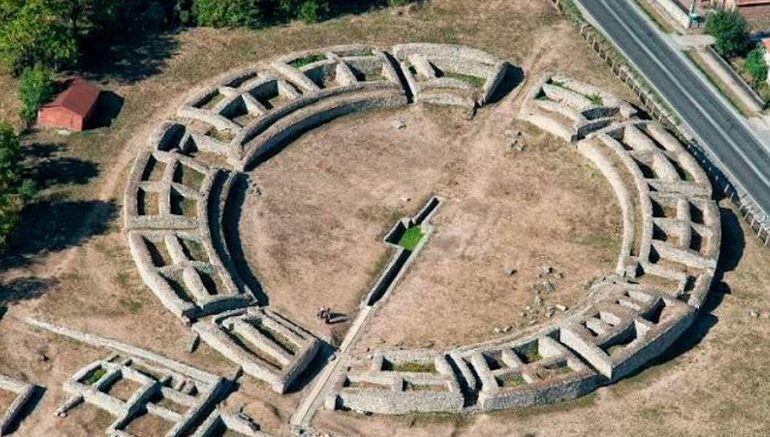 Furthermore, the restoration project is also estimated to be commercially viable in the long run, with museum representatives expecting the current figure of 90,000 annual visitors (to Sarmizegetusa, Dacia) to go up to a million visitors per year. 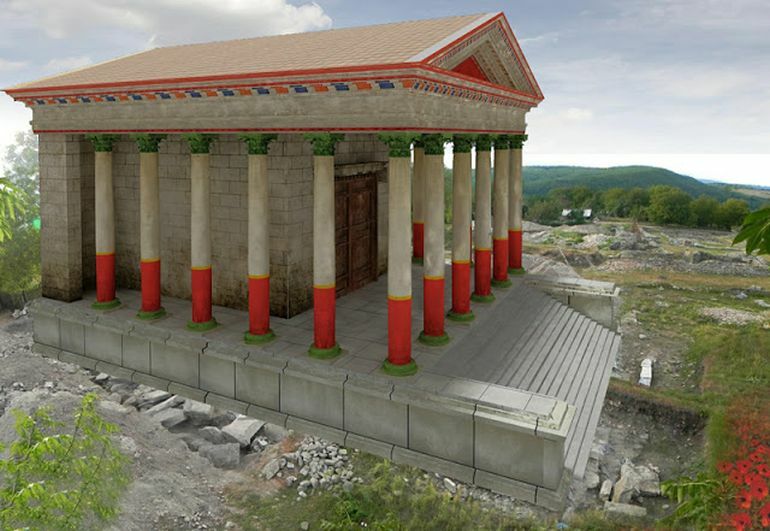 Proposed reconstruction of the Roman Temple. The article originally appeared in our sister website, Realm of History.